Dressed like an onion! Hello everyone who is reading FashionTasty right now! I want to speak about layered looks created with dresses. This is not just ordinary layers, it’s creative and eye-catching. Believe me, there are thousands of great ways to layer your favorite frock. 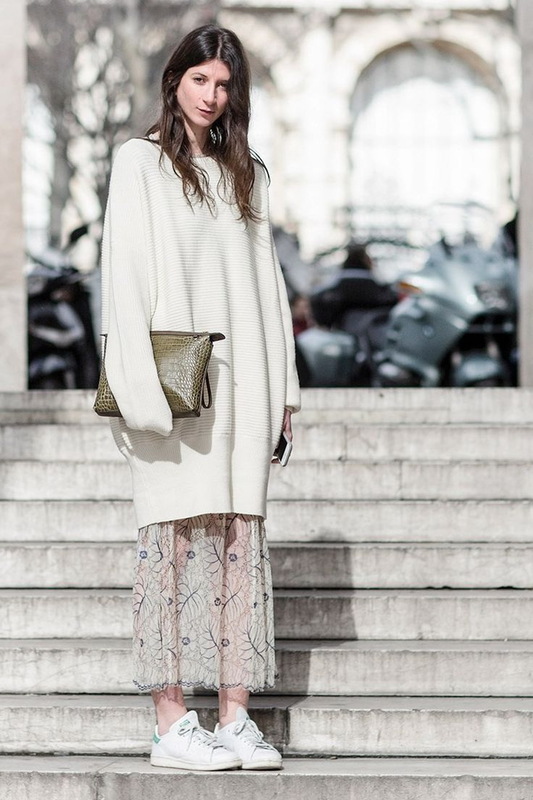 In this compilation are gathered my favorite street style looks that feature layered dresses. All you need is to steal these outfit ideas and made your own. I am pretty sure, there will be no problem for you to create a well balanced outfit. Why do I like layered looks so much? They are ideal for achieving a fresh style, as well as for staying warm. Scroll down for a styling inspiration. We see a brightly patterned long-sleeve white collar dress worn under grey sweater. The outfit is completed thanks to cream-white belt and black heeled sandals.